Cheese Medical Marijuana seeds are a 60% Indica dominant strain, containing 40% Sativa genetics. Originally discovered as a unique Skunk#1 pheno-type. An easy to grow strain that performs well both indoor and outside, producing heavy yields of some of the most pungent, aromatic Cannabis buds. An absolute favorite in the UK and found in almost every Amsterdam Coffee-shop, Cheese Marijuana seeds have won awards, Cups and Expo’s all around the world. Originally only available in clone form, the mother was subsequently crossed with an incredible Afghan male to increase many of the dominant Indica characteristics the plant displayed, while retaining its unique flavor and aroma. Total stable and uniform, Cheese Cannabis plants are versatile and hardy, suitable for both soil and hydroponic growing systems and all levels of experience. Only female Cannabis plants flower, producing the buds for smoking, and although the male plants do contain some THC, the levels are so low, the only reason to grow male Cannabis plants is to produce seeds. The majority of growers do not want the hassle or wasted time spent on male plants, and so all these Cheese Medical Marijuana seeds are feminized, guaranteeing 100% female-only plants. 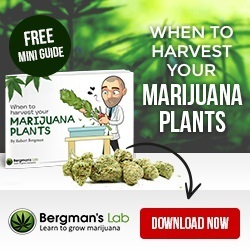 Germination is also guaranteed, and unlike many popular Marijuana and Cannabis seed producers, they are not sold as souvenirs, but as high quality Cannabis seeds that are guaranteed to germinate, producing a true, 100% female plant with all the traits, attributes and characteristics you expect having read this review. Depending on conditions and techniques, Cheese Medical Marijuana seeds can grow between 100-200 cm tall. Left outdoors to vegetate and grow naturally, the plants will grow tall and bushy, while indoor growers can substantially reduce the vegetative period, enjoying the growth during the first onset of flowering to generate reasonable heights. Alternatively, Cheese Cannabis plants are a perfect choice for SCROG growing, where a canopy of green is created at a set height, before flowering is induced. Screen-of-Green or SCROG is a perfect way to maximize yield in a designated space or growing area. Grown indoors with good environmental controls and an understanding of how to generate increased yields by super-cropping, SCROG growing or other techniques, Cheese Marijuana plants can yield substantial harvests. Yields of approximately 550 grams of dried, high quality buds can be achieved per square meter, with outdoor plants yielding heavy individual harvests. Cheese Medical Marijuana seeds create some of the most unique tasting Cannabis available, and once tried it’s never forgot. Smoking a Cheese flavor may seem odd, but its lip-smacking, mouth-watering good and as pungent as you would want. So much so in fact, that indoor growers should be aware that odor control is a ‘must-have’ when these plants begin to mature. The aroma has the power to infect your clothes and hair, literally seeping through the walls without due care and control. Cheese Medical Marijuana is famous for its deeply pungent, skunk aroma and cheesy flavor. Originally a Skunk#1 seed that displayed exceptional qualities, it produces large, fat, light green buds with a generous coating of resin. Renown for its extreme smell, often having to be ‘double-bagged’ one sniff and you know….This is Cheese!! Cheese Medical Marijuana produces a happy, euphoric effect that’s very uplifting and relaxing. A medium THC content of 14%, elevated by high CBD levels produces a long-lasting high, great for both night and day-time use, although the deep Indica influences make can some users feel lethargic and tired. 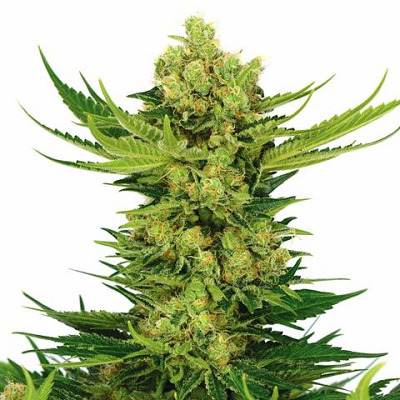 You can buy Cheese Medical Marijuana seeds in packs of 3, 5, 10 and 20 feminized seeds. World-wide postage and super-stealth packaging are included in the price, and delivery is guaranteed. To find out more about buying Blue Dream Medical Marijuana seeds online, click below.